Fact: Tinnitus can be caused by a number of factors, including high frequency hearing loss and sinus problems. In very few cases is the actual cause of the tinnitus a serious illness, and most of the time the cause of this disease is minor. 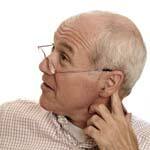 Fact: Tinnitus does not cause deafness, even if this condition continues for years. You can develop nerve deafness if the nerves in your ears are damaged, or industrial deafness if you work around loud noises all day, but tinnitus does not cause deafness. Fact: No matter how long you suffer from this condition it usually does not worsen over time for most individuals. The ringing usually does not become louder as time goes by, but you may end up having a decreased tolerance for it, and this may make it seem like more of a problem than it was previously. A relatively small percentage of sufferers will see their symptoms get worse without treatment though. Fact: Natural methods and techniques used to minimize tinnitus do not cause ear damage. They have been tested and approved for use in most cases, and you should only use those which meet these standards. There is no drug which can help, but these natural treatments can minimize the ringing that you hear or even eliminate it completely in some cases.